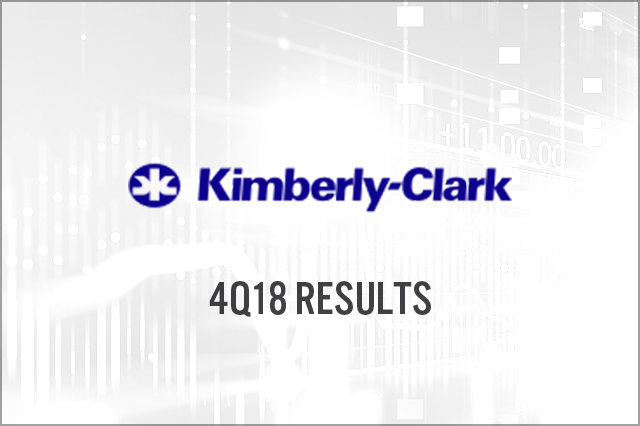 Kimberly-Clark reported sales of $4.6 billion in the fourth quarter 2018, down 1% year over year. The personal care segment recorded sales of $2.2 billion, down 2% year over year. The consumer tissues segment recorded sales of $1.5 billion, essentially even year over year. The K-C Professional segment reported sales of $0.8 billion, up 2% year over year. The company has provided guidance for 2019 and announced the “K-C Strategy 2022” to drive sales growth.